It sounds like a joke you might hear at the pub…. About the Irish vet who couldn’t pass an English-speaking test. But it’s not. It’s actually the real-life story of Louise Kennedy, an equine vet who has been living in Australia for two years. Now, she’s trying to convince a computer she can speak English well enough to stay here. Her story would be laughable, if it didn’t highlight serious flaws in the visa application system. Ms Kennedy has two degrees and veterinary qualifications, as well a baby on the way with her Australian-born husband. She has been living in Australia on a skilled worker visa. Earlier this year, with that visa about to expire, Kennedy decided to pursue permanent residency on vocational grounds. Equine vets are hard to come by, and she felt this was the simplest way to stay in Australia, and raise her child here. As part of the application process, she was required to pass an English proficiency test. She passed all components including writing and reading, but failed to reach the minimum score in oral fluency. She received a score of 74 when the government requires 79. The problem, she says, is that her oral exam was conducted by a computer. Pearson, the company which administers the test, is one of five test providers the immigration department uses to assess English competency for visa purposes. Pearson uses voice recognition technology to test speaking ability, with audio recordings marked by a scoring engine that has been designed to identify acceptable and unacceptable answers to questions that pop up on a computer screen. Ms Kennedy is convinced that if a human assessor determined her fluency, there would be no problem. She believes the PTE technology is flawed. Meanwhile, the Department of Immigration says Ms Kennedy did not actually need to take the test at all. And here’s where the confusion begins, as Kennedy says it would have been impossible for her to reach the required score without it. Having already amassed 45 points, Kennedy, needed to pass the ‘Superior English Test’ worth 20 points to reach the 60 points required for the subclass 189 visa, which costs $3670. 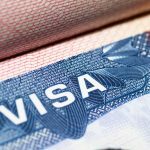 Now, in failing to reach the 60-point score and with a baby due in October, she is now pursuing a bridging visa while considering a spousal visa so she can remain here. 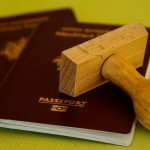 But the spousal visa, at a cost of $7,000, is almost twice as expensive as the original vocational visa and payment is required upfront. It’s ironic that a country that was founded on migration, now makes it so hard for other nationals to work and live here. Or even take refuge here. 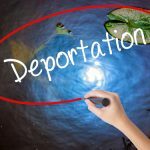 In an attempt to further beef up the rules of who gets to stay and who must go, three years ago, the Federal Government introduced amendments to the Migration Act, which lowered the threshold of the “character grounds” of the legislation. This gave the Government power to deport anyone who has been sentenced to 12 months or more in prison. The clause has affected a large number of New Zealanders and other foreigners who don’t just live here, but who’ve raised families here and call Australia their ‘home’ for decades. 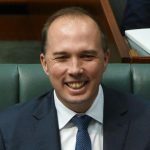 The immigration department has also come under fire for its hard-line stance on more than 7,500 asylum seekers who now need to file applications for protection by October 1 or be sent away. When the deadline was announced in June, lawyers and community legal centres expressed anger and frustration at what they called an ‘impossible task, given the complexities of the system and the fact that many of the asylum seekers only have a basic level of proficiency in English. 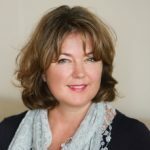 In light of Louise Kennedy’s experience, it is clear to see that far from encouraging other foreigners to make a life here, the Government is progressively making it more difficult, and more expensive, threatening the cultural diversity that has long been part of the social fabric of our country.